It's easy to say that the seller wants to sell fast and for top dollar. Of course, that's true. As real estate professionals, we provide a number of valuable services in setting up a listing to sell fast for more money. Knowing what our seller's value or their perceptions of what we offer is important. By providing the services they expect plus a few more they find surprisingly valuable, we create clients for life. 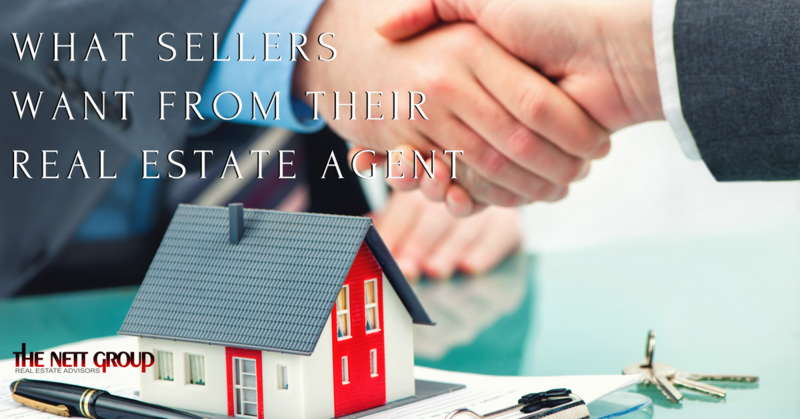 We may think we know what sellers want and need from us to sell their home or land. The best way to know is to ask. It is done every year in a survey of buyers and sellersof real estate done by the National Association of Realtors. We'll look at one year's report stats here. Surveys taken of sellers probably show many of the things we would assume, but possibly not in the order of importance we would think. The requirements here are in order of their importance to the sellers, most important first. Helping find them a buyer was, as we might have assumed, the top requirement of sellers, with 28% placing this as their top concern. This tells you that your marketing plan and media are quite important to your prospective listing clients. This seller requirement was only 1% below the top one, with 27% of sellers desiring this service from their real estate agent. It's highly related to the first one, with marketing being a very important factor in how fast a property sells. With 17% of sellers placing importance on this requirement, they're telling us that puffing their egos with a fat listing price isn't what they want. They want their property to sell. Do a thorough market analysis and be honest with them about expected results at different price points. This might surprise some, at fourth in importance with a 12% response. Maybe that Home Staging® class would be a good idea. Or perhaps suggesting a staging professional would be appreciated. At the very least, don't be bashful about suggesting things to do to enhance the look and presentation of the property. Many real estate agents would have assumed this requirement to be higher on the list. However, only 7% of sellers made this a priority need. It is very important, but using this list as a guide, you want to build your listing services presentation around marketing and proper pricing first. Here again is an item that many real estate agents value more than their seller clients. At 5%, sellers are telling us that it's one of their needs, but down at sixth on their priority list. By all means, tell your sellers about your negotiating skills, but use this list to prioritize your presentation. This article is updated to reflect the realities of getting listings from sellers who are more educated in real estate and the local market because they can get loads of free information on the Internet. It's also a competitive issue, as they can check out many agent websites to see who they believe is doing the best job of marketing. The first thing you need to do is to make sure that your photos are top notch, even professionally taken if you're in a high-end price market. Images are the top requirement of home buyers on the Web, and sellers will want to see that you're doing a good job for your listings. The other thing you need to do to impress sellers is to show them your syndication list. These are the major websites their home will be displayed on once your listing is syndicated through your efforts or a third party. They want maximum exposure.